Horsetooth Mountain Open Space remains closed one week after a mountain lion attacked a runner. A local rancher said he's seen an increase in mountain lion activity and urges visitors to be careful. 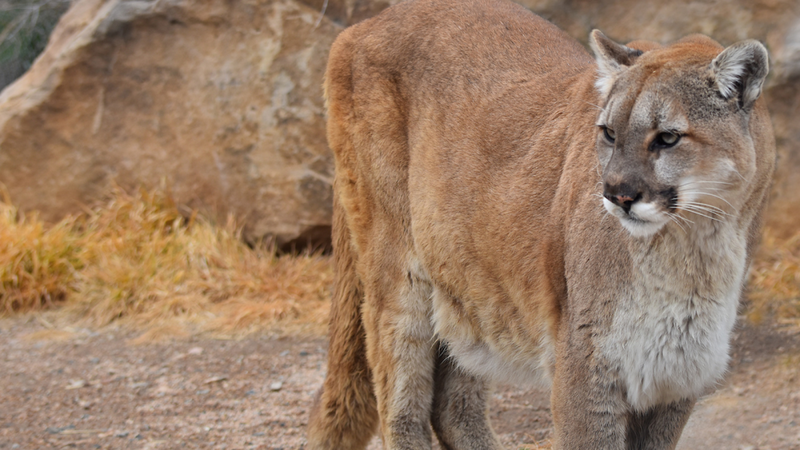 FORT COLLINS, Colo. -- Horsetooth Mountain Open Space remains closed one week after a mountain lion attacked a runner. A local rancher said he's seen an increase in mountain lion activity and urges visitors to be careful. “We just want to make sure that the people know when they come from town up here that it is wild,” Dennis White said. White has been raising elk and other animals on his property for over 17 years. He is no stranger to mountain lions. “I was face to face with one. That was probably a year ago. It came out of the tree right at me,” White said. White said when he first moved there he rarely saw mountain lions. Now he sees them once or twice a month, some as big as 200 pounds. Over the past few years, he has lost more and more elk to the very big cats. “Last year we had two cows and a yearling, and the year before that we had four cows. They have been running around a lot and through the fence,” he said. So he wasn't surprised to hear someone was attacked last week. “I’m glad I wasn’t the runner but I would have fought back too I was raised here with these animals, and it’s just crazy,” he said. He has dogs, a spotlight and even invites hunters on his property. He believes Colorado Parks and Wildlife may be releasing the mountain lions too close — mountain lions that aren’t from the area. CPW says they don’t release animals in such populated areas. But they both agree that mountain lion activity is up. The trails remain closed and visitors need to be careful. “Come in groups and don’t come after dark,” White said.